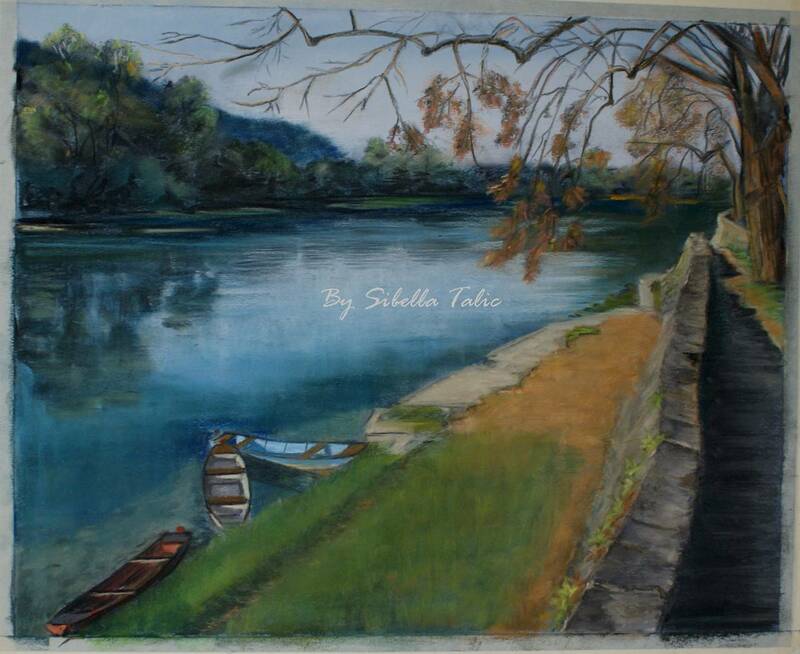 I am almost done with my river landscape. A few finishing touches on the trees, sky and boats and that’s it, I think. I am excited to be done and I am happy how it turned out. This scene is of river Una from my hometown in Bosnia. Many beautiful memories connect me to this place. I have to think of a good title for the painting…..
You are so talented.. I’m not sure how you find the time to accomplish so much.. this is really, really very lovely!! The reflection on the water is stunning. I am still struggling with stick figures.